How many star wars characters do you think you could name off the top of your head? 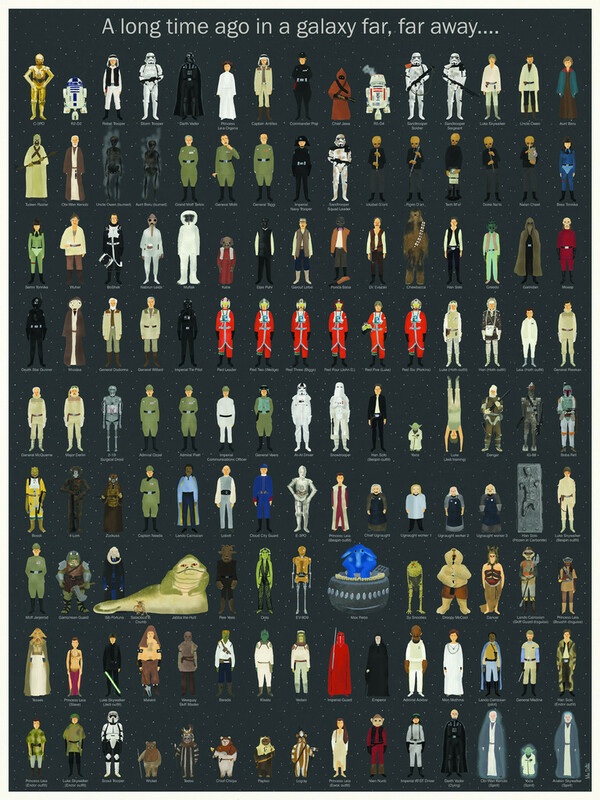 Chances are, you can't name every single character from the original trilogy, which means you need to study this incredible fan-made poster featuring all 135 of the buggers. What's that? 135? There were more than that, surely? Well, take a look here and see if you can find someone or something missing. I'm pretty sure that i've spotted a few characters that aren't included, but regardless, this is one heck of an art piece. The poster was created by Max Dalton for Spoke Art and unfortunately only 500 were created, all of which have been sold for the small sum of $50....damn those lucky 500!